‹ and the livin’s easy. I like to get to my desk a little early in the am so I can browse celebrity gossip sites news and have a coffee before I get to work. Today I cried reading the news twice (which is embarrassing, but not surprising). 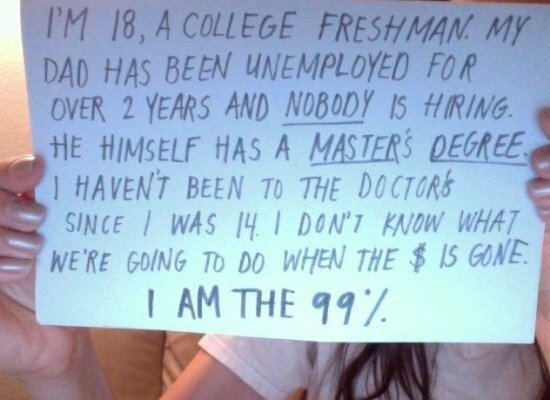 A slideshow on Huffington Post of messages from Wall Street Protest supporters. Messages from people are a mixture of hopeless, frustrated, humble but all pretty tough to read. 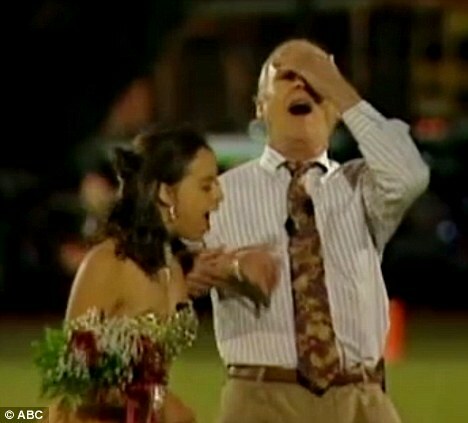 A Texas high school voted a classmate with Down;s Syndrome as their homecoming queen. You can watch the video here. The Dad’s reaction kills me.